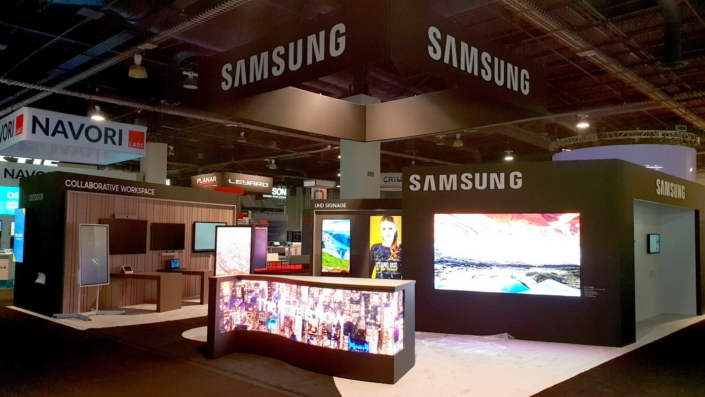 Samsung Electronics has been showcasing its portfolio of innovative display solutions at the Digital Signage Expo in Las Vegas in March. The company’s collection of cutting-edge solutions includes the latest digital signage products, industry-leading displays including the Samsung Flip and exciting new video conferencing solutions with HARMAN and Cisco. Samsung’s workplace solutions are designed to foster a creative, collaborative and productive business environment. The Samsung Flip is a perfect example of Samsung taking digital connectivity and collaboration to a new level by transforming the paper white board into a digital solution for businesses designing mobile workspaces. 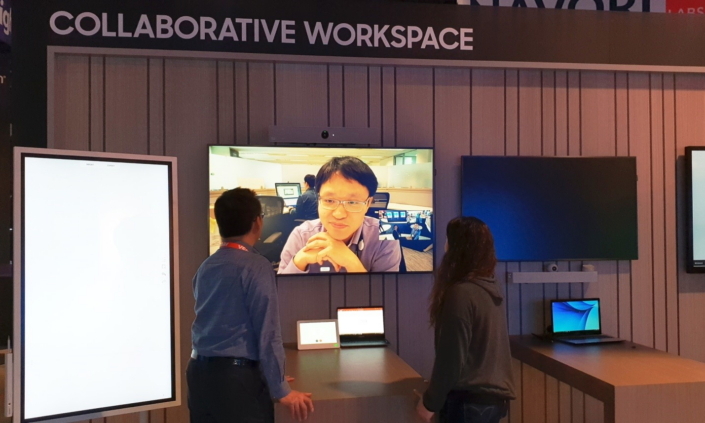 Visitors used the Cisco Spark Room solution to connect the Cisco Korea office and the exhibition hall in Las Vegas for video conferencing. Samsung and Cisco have completed the HDMI-CEC compatibility test between Samsung’s QMH and QBH displays, and Cisco Spark Room Kit and Kit Plus. 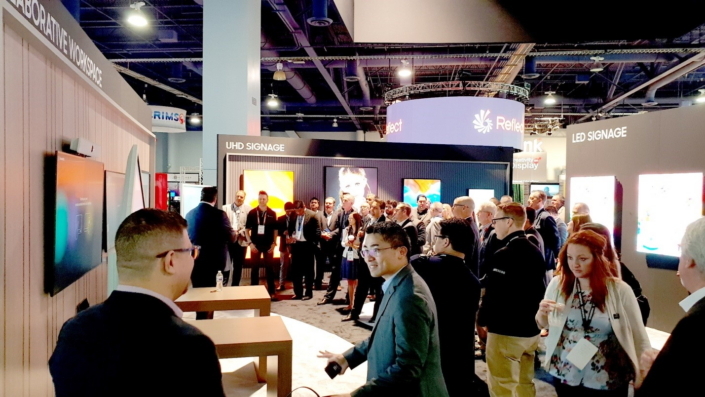 Now, Samsung UHD SMART Signage, QMH Series displays and the last firmware release of Tizen 3.0 can be seamlessly integrated with the Cisco Room Kit Series featuring non-touch and play synchronization for smooth user experience. Back in February, Samsung unveiled its state-of the art display technologies including ‘The Wall’ and ‘3D Cinema LED’ at the ISE 2018. The company has shown continued commitment to setting new standards in the display market and will continue to make meaningful contributions as an industry leader.